Following this weekend's Air Jordan Future double-up, you'll be able to pick up an all-new version of the off-court model next weekend. The 'Bright Sage' Future sports a minty, all-green upper, opting for mesh construction over the usual weave. Sage also handles the midsole, which sits atop an icy translucent outsole. 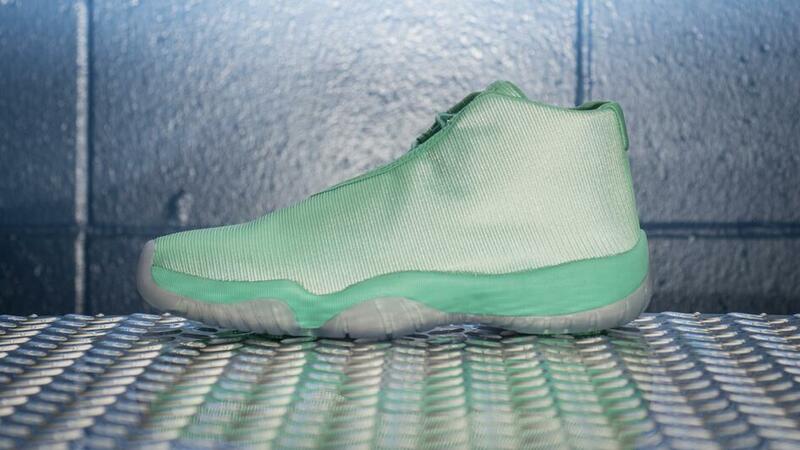 You can pick up this new Air Jordan Future colorway for $150 at Finishline next Saturday, June 28.